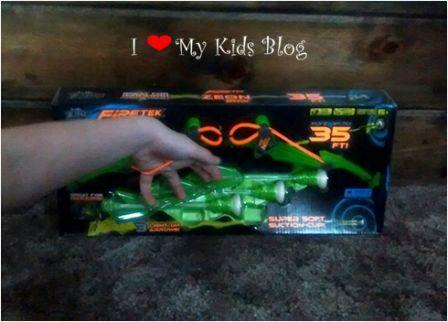 Finding a good quality, safe, and sturdy bow and arrow set for my children had been quite the challenge, until I found the ZING Firetek Zeon Bow. 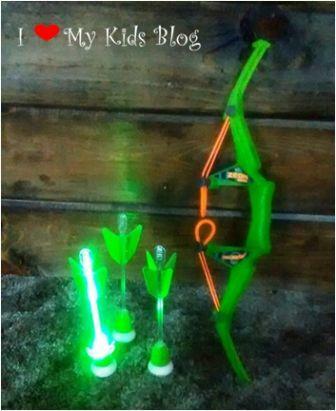 My kids love anything outdoorsy and with Halloween and hunting season coming up, my 9 year old’s desire for a bow and arrow has resurfaced. I found the Firetek Zeon Bow highlighted at the Time To Play Magazine show a few weeks ago and I can see why this is one of the year’s hottest, most sought after toys! My 9 year old literally couldn’t keep her hands off the box as I was trying to take pictures of it, she was VERY excited! After 4 photos with her hands in it, I had to ask her to go sit on the couch until I was done! This bow is made of sturdy plastic and the rubber band parts (that launch the arrows up to 35 feet) is a very high quality stretchy material that I think will last a long time! 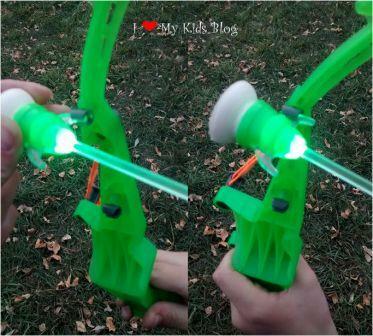 The Firetek Zeon Bow comes in two colors, green/orange and pink/purple. We got the green and orange one. 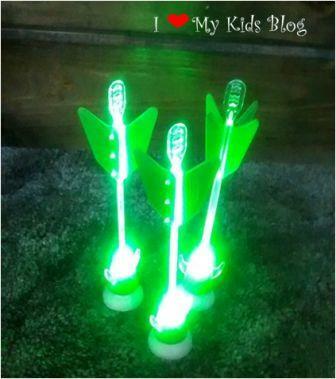 The very first thing we did once it was out of the package was push the button to light up the arrow. Each arrow has this button. I was impressed with how bright each arrow was! This made the set even cooler! 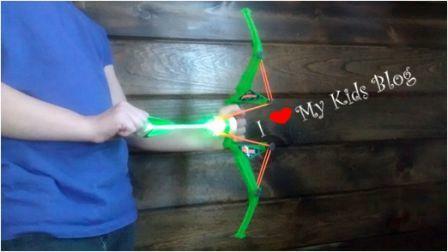 This bow set is recommended for ages 5 and up. It was always a race for my 9, 7 and 4 year old’s to get to the “shot” arrow before my 1 year old got there. We could seriously play that game for hours and my 1 year old would chase arrows the whole time! 😉 The arrows have soft foam suction cup tips, so they are soft and really do stick to the walls well! They don’t hurt if they hit someone in the stomach, (just ask Dad) and in the last week her aim has really improved! The bow itself is awesome too. At first my daughter was holding it the wrong way, but the arrows still shot, once we turned it around the right direction, the arrows went really far! In the picture below the bow is facing the wrong direction. Attaching the arrow to the rubber shooting part of the bow is so much easier than any other bow we’ve tried in the past. 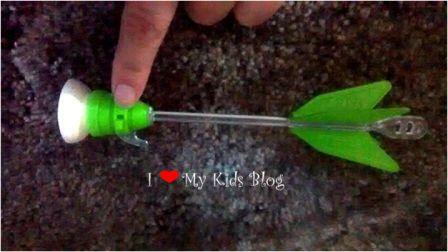 Each arrow has two hooks below the suction cups, you just loop the hooks onto the rubber stretchy part and pull back. The more you pull back, the farther it goes. Then you release the arrow and watch it fly! In the picture below, you can see the bow being held the right way. Perhaps my favorite feature of the bow, is it can act as a quiver and “hold” the arrows that aren’t in use. On the outside of the bow, there are small black “holders” you just slip the arrow hooks onto the holders and you are ready to go! This bow has been fun for the whole family and coming in at only $14.99, I can honestly say I would recommend this Firetek Zeon Bow to a friend. I love the price, I love the bow, I love the light arrows, I have no complaints! 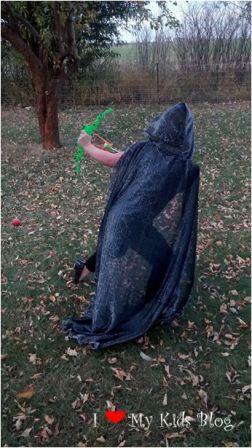 My 9 year old wanted to be a huntress for Halloween this year and it completes her costume….she is really into her character this year! I can see why it is one of this year’s hottest toys! You can check out ZING toys on Facebook, Instagram, YouTube, and Twitter! Do you have someone in your life that would LOVE this Firetek Zeon Bow? Leave a comment below telling me who! Disclosure: I received the product mentioned above so I could form and opinion to share with you. I was not required to share a positive opinion, the views expressed above are my own. « Fun Hometown Park Hopper Pass Idea for the Kiddos! 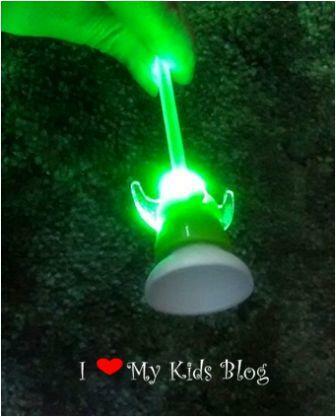 My kids would LOVE to take this camping!! 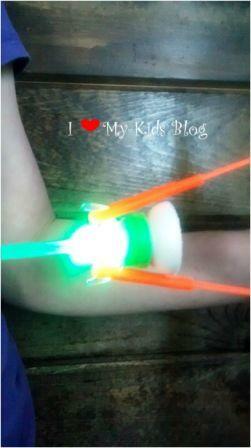 We always have the plain-old glow sticks, and the glow stick bracelets can be used for tons of games, but this?! AWESOME!